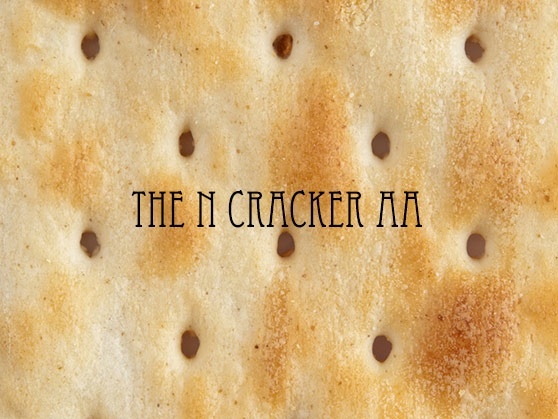 Until Paula Deen's racist remarks came to light, I didn't actually know the story behind the racial epithet "cracker." I didn't know being called a "cracker" had anything to do with the whip cracking of slave drivers. I, in my infinite naïveté, actually thought being called a cracker had to do with the whiteness of crackers. You know, like how Saltines are just so white? Yeah. That's me. However, apparently I wasn't the only one who thought that, so I'm happy about that. I'm also happy that having a discussion about it on Twitter led to a discussion of crackers in general, which is why Bunting and I can now announce the N Cracker AA! Get on over there to Tomato Nation, read the procedure, nominate your favorite crackers (edible only, of course) in the comments, and then watch this space for more crumby news.